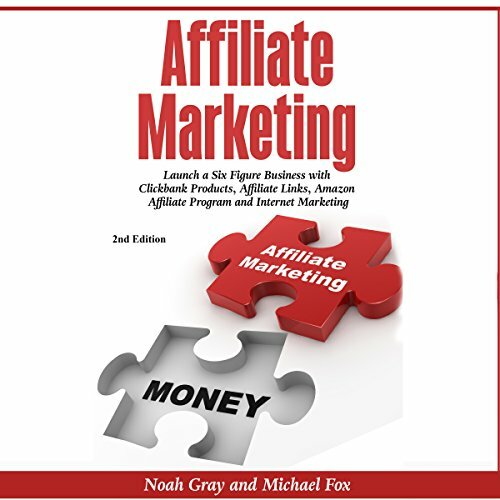 Affiliate marketing is one of the least expensive ways to start making an income online. Get ready to discover the ultimate techniques that will skyrocket your business. There are thousands of people making a full-time income through this business, so it is a proven model. If you are serious about making an income online, this audiobook will be a valuable asset that you will want to keep. Most of the content here was pretty good . . . HOWEVER, what is listed as Chapter 4 is actually a chapter from a book on depression . . . why????? I did find another reviewer that asked the same thing back in July. It clearly has not been corrected. Not sure if there is missing content or if the depression chapter was just slipped in by mistake. Whatever the problem is, please correct it. It obviously was not corrected when reported in July. I hate to give these low marks to a book that's this helpful, but there are two things that will permanently drive me nuts about it: One may be Audible's fault: The chapters that appear in the list at the bottom of the screen don't in any way agree with the ones being voiced by the narrator. That happens with a lot of audio books here, and I'm amazed that Amazon hasn't remedied it by now. The other thing is... what in the world is the opening chapter (or chapter 4 in the list I think) about depression doing here? Is it the author's secret agenda, or a clerical error? Either way it's another thing that almost made me return the book. If you can get past those two things though, the rest of the content is right on and very useful for where I am just now (a ten-year website designer who's been away from affiliate marketing for three years and wanting to catch up).